Large (800 SQ Ft), very bright, quiet, one bedroom suite above the garage. Located on a very central, fantastic street. 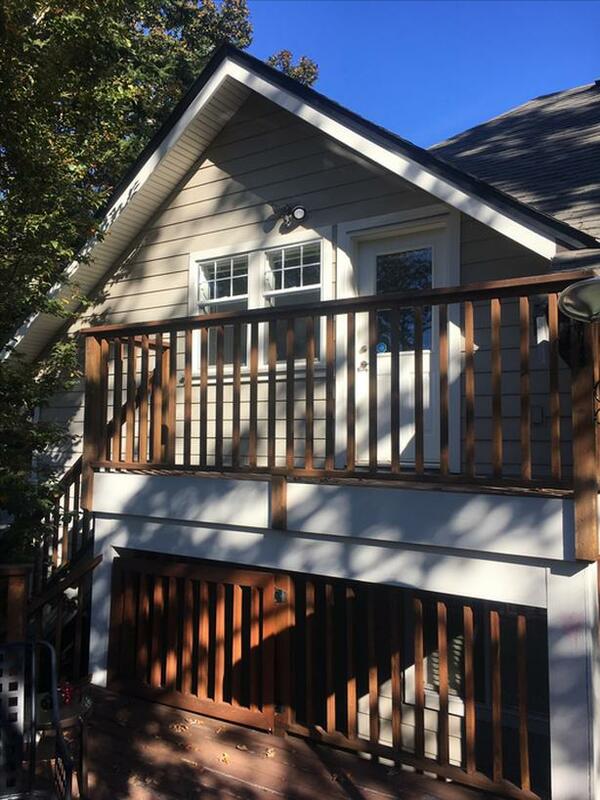 Walking distance to galloping goose, VGH and Eagle Creek Village. Short drive to Royal Roads, Camosun Interurban campus and Thetis Lake. In-suite laundry, dishwasher, full size fridge and stove. Water included. Tenant to arrange shaw cable if desired and is responsible for 1/4 hydro. Please note that new counter tops have been installed since these photos were taken.